It’s holiday cookie season and I love a good buttery shortbread cookie that’s delicious anytime, but especially good with my coffee. And yummy enough to eat for breakfast. 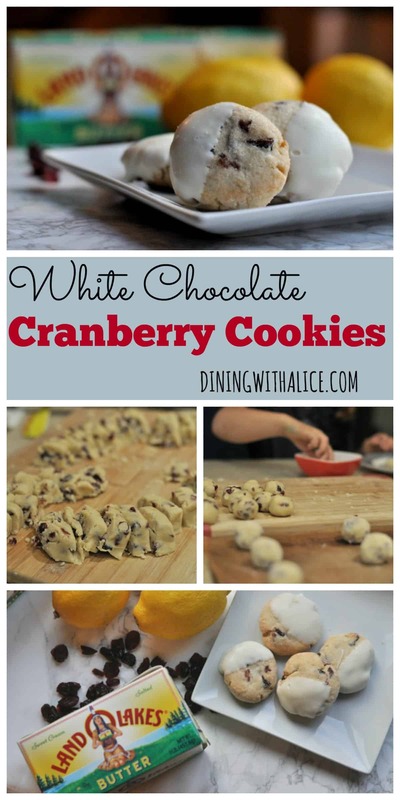 These White Chocolate Cranberry cookies will be a delicious addition to your holiday cookie plate or cookie exchange and a perfect cookie to enjoy with your coffee even for breakfast! 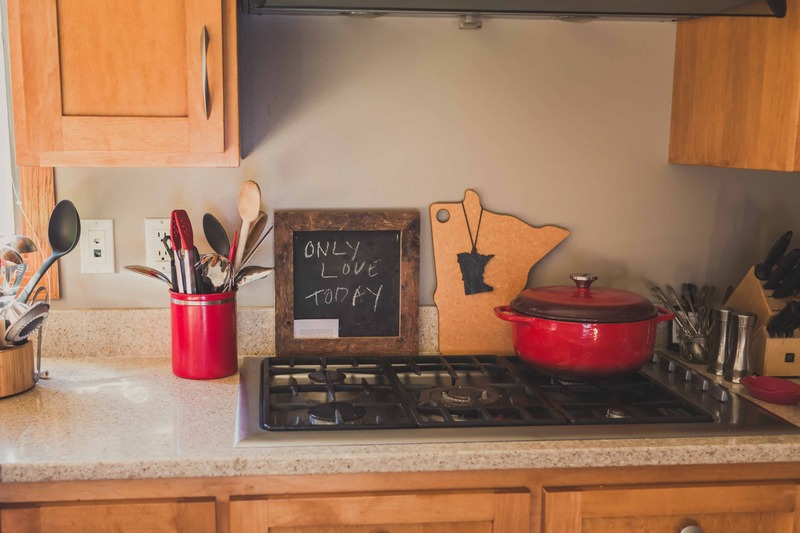 I can rarely sneak into my kitchen without help from my kids. 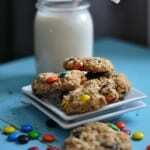 This is a recipe that you can get your kids involved with because it is so easy. 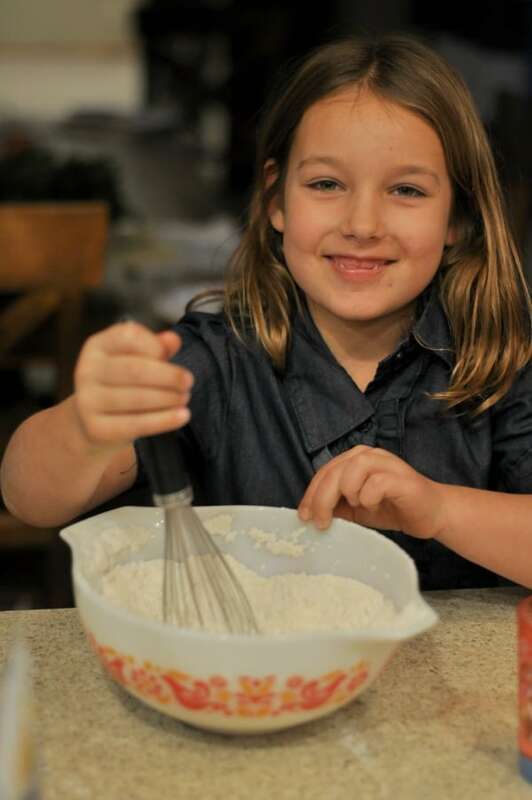 Here’s my assistant, whisking the flour and baking powder. 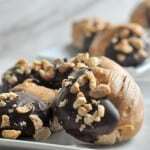 Once you have the dough mixed up, form it into two long rolls and divide the dough into 36 pieces. Whenever I make cookies I always divide the dough up into the amount the recipe says so that I know I’m making the right size of cookie. Then roll the cookie pieces into balls and roll into granulated sugar. This is a perfect activity for your little helpers. 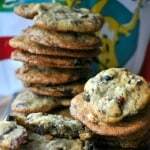 I put the sugared cookies on a cookie sheet and then press them down with a small glass jar or cup. Once the cookies have baked and cooled I dip half the cookie in melted white chocolate. I like to use Ghirardelli White Melting Wafers. Watch the video below to see how easy and quick it is to use the melting wafers. 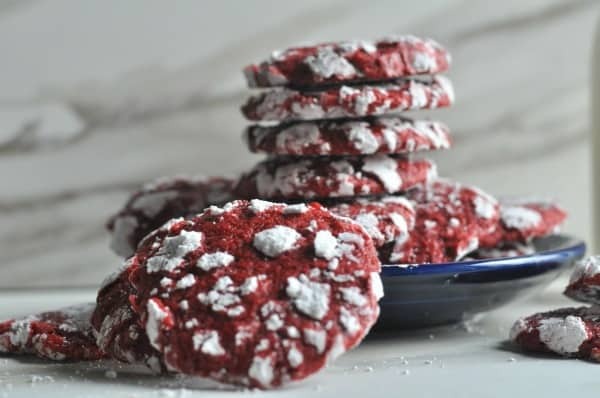 These cookies were featured in the 2016 Land O’Lakes and Twin Cities Live 12 Days of Cookies. 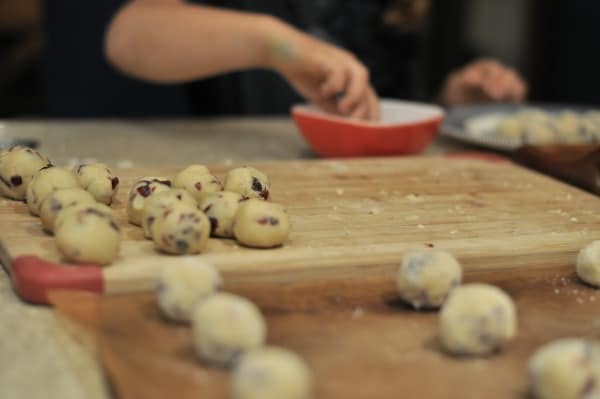 Watch the video below for a demo of the White Chocolate Cranberry Cookies and a peek in my kitchen! 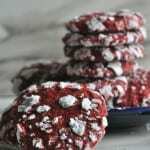 If you are looking for more holiday cookie favorites, try my Red Velvet Cookies. Mix flour and baking powder together and set aside. 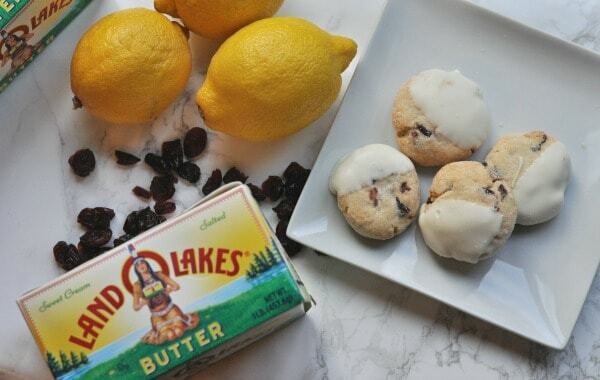 Cream Land O’Lakes butter, ½ cup of sugar, vanilla, zest from 2 lemons and 2 tsp lemon juice. Add egg and mix. Gradually add in flour mixture and mix until combined. Add in chopped cranberries and mix. 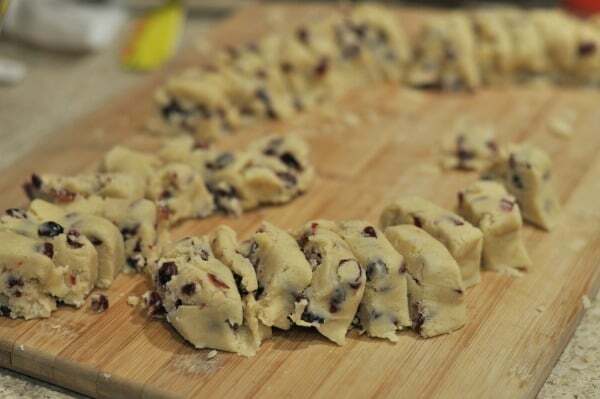 Form dough into two long rolls and slice into 36 total pieces. 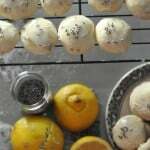 Roll each piece into a ball and roll in sugar. 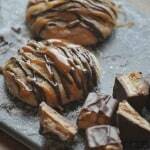 Arrange a dozen cookie balls on a cookie sheet lined with parchment paper. Press down each cookie ball. Bake for 15 minutes or until edges of cookies start to brown. 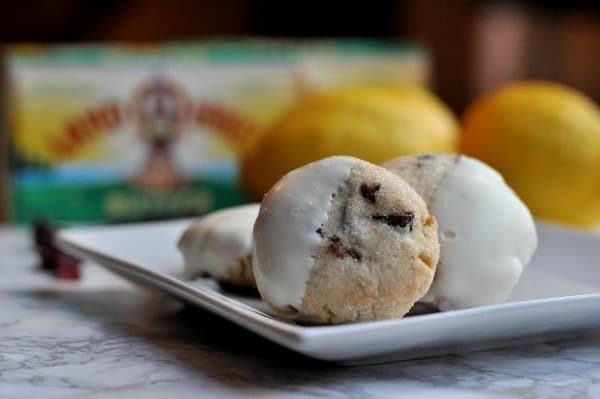 Once cooled, dip half of cookie in melted white chocolate. 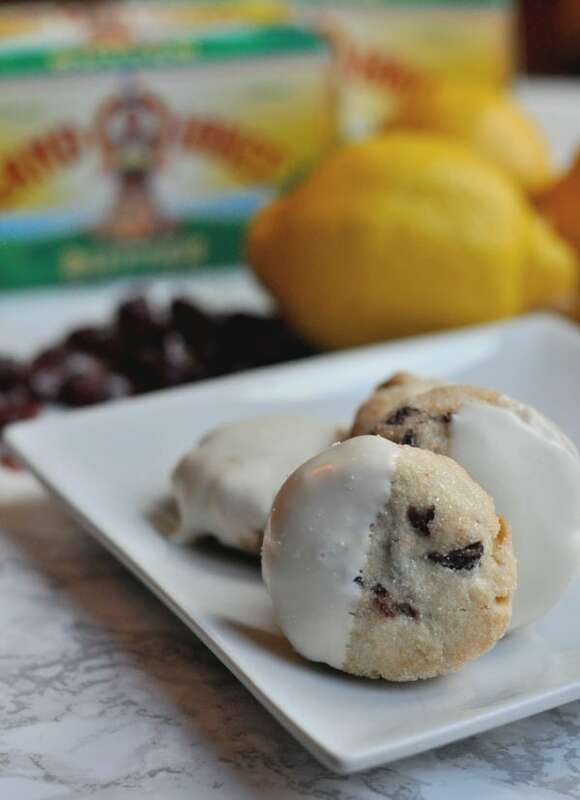 This entry was posted in Desserts and tagged christmas, christmas cookies, cookies, cranberry, Land O'Lakes, lemon, twin cities live, White Chocolate by Alice Seuffert. Bookmark the permalink.